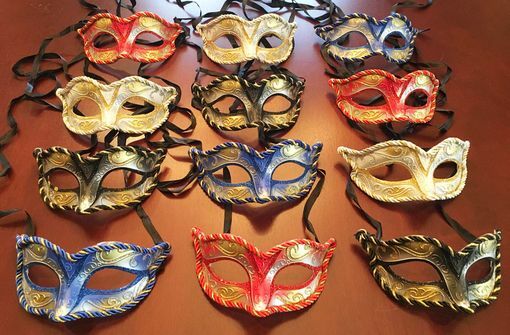 Premium Masquerade masks are hand painted and glittered. The masks are accented with a twisted rope style ribbon around the mask and is made of durable non bendable PVC. Masks come in a 12 piece assorted color set.